Today, more than 3 billion people live in cities and the urban population of the planet increasing constantly. This means a growing demand for electrical power and more complex requirements for buildings and manufacturing facilities. Add strict energy standards to the equation and the process of identifying the right critical power supply for individual applications becomes exceedingly tricky. Here, Pat McLaughlin, Boulting Technology’s Operations Director, discusses what companies should keep in mind when choosing a switchboard. Before commissioning a low voltage switchboard, consider what kind of external fault you can expect to have in the application. Usually this means choosing a fault rating higher than the maximum supply capacity. The rule of thumb is: fault rating = (transformer VA /700) * 20. This way, your system should be safe even in the event of an external fault. Another thing to consider is the product’s lifespan. Switchboards generally have relatively long lives and can last anywhere between 25 and 40 years, perhaps even more if you treat them right and ensure the regular maintenance they deserve. However, this also means they need to be rugged and durable, so they can withstand the occasional knock and abuse life throws their way. Industry has a tendency to leave the electrical room layout to the very end of the building design and adapt it to suit whatever space is left over. Try to avoid this approach if you can. Ideally, you want your electrical room to be spacious and well ventilated. If possible, there should be enough space to allow repair and replacement work to take place as smoothly as possible. Switchboards are only installed once, but there’s a good chance you will need to add cables or modules as time goes by. Devices may have shrunk, but the laws of physics and the size of cables haven’t changed. Access to your building’s power centre boards should only be granted to authorised personnel, rather than allowing just anyone to walk in and out. Ideally, the switchboard should be located in a secured room, out of the way, so visitors don’t just stumble in while looking for the rest rooms. In addition, electrical gear is a tempting target for thieves, so it’s important to protect it accordingly from malicious attacks or vandalism. Because of their long lifespan, switchboards should be designed to last a few decades. 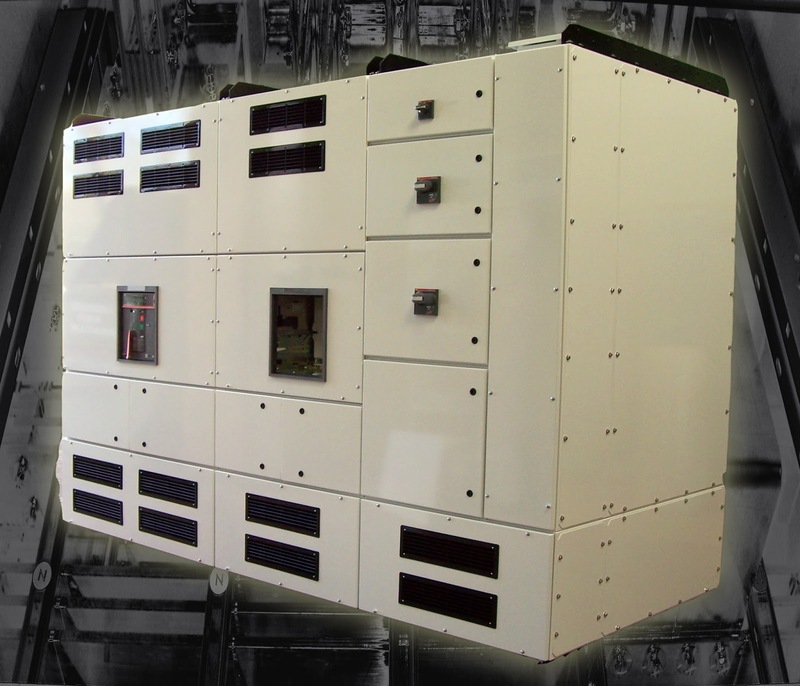 One way of future proofing a low voltage assembly is by using a modular design. There’s a chance that as you grow, you will require more capacity. You can easily achieve this by putting a bus coupler on the end, so you can extend and modify the switchboard without shutdown. Modularity also means that if a section of the power centre breaks down it can be easily replaced without having to turn off the whole thing. Speaking of growth, another thing you might need if you want your switchboard to be future proof is a few spare distribution and motor control feeders. They might add to the final cost, but they might also be a lifesaver a few years down the line. You can’t predict the future, but you can make it easier for those who follow you. To make sure sources can’t be cross-connected, even if the electrical control fails, all the switches should be mechanically interlocked. Interlocking switchgear ensures personnel are safe and equipment is operated according to the correct procedures. Labelling in large switchboards can be very confusing, so colour coding is a good way of keeping track of supplies. Sometimes special symbols can also be used for multiple sources of supply, but colour coding is the simplest and best method. It offers an ‘at a glance’ view of the system and minimises the risks of mistakes. Very few switchboards these days will operate critical processes manually, so remote signalling and switching is something you should consider when choosing a switchboard. It’s important to make sure that if the main power goes down in the middle of the night, or over the weekend, the generator needs to be on and fully functional. Speaking of generators, you need to ensure that you test them regularly using a load bank. You should design the switchboard in such a way that testing is easy; otherwise excuses will appear and testing will be delayed. Make sure this doesn’t happen and you won’t be left in the dark when the power goes out. Switchboards need constant attention to always be at the top of their game. These are just some of the main things to consider when deciding the requirements for low voltage switchboards. It can be a difficult process, but luckily help is never too far away. To find out more about what options are available for your low voltage assembly, get in touch with Boulting Technology on +44 1925 720 090.